Durable highly reflective 3M™ Raised Pavement Markers may be applied to asphalt and concrete road surfaces. Impact and weather resistant, 3M™ Diamond Grade™ microprismatic optics provide excellent wet and dry reflectance. 3M™ Raised Pavement Markers with pressure sensitive adhesive are applied using the supplied pressure sensitive adhesive pad. 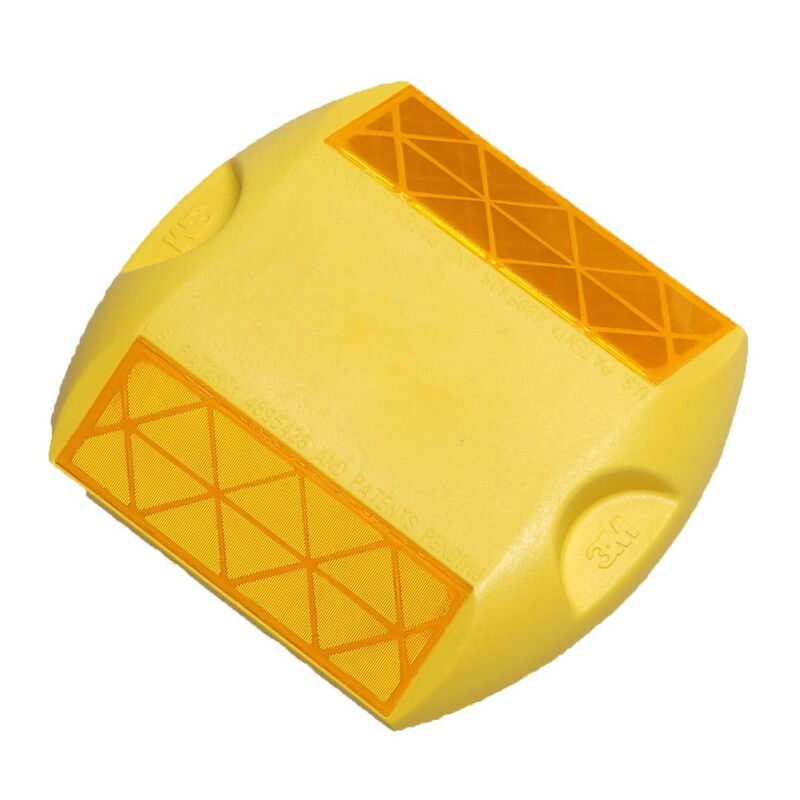 Designed for application on asphalt and Portland cement concrete road surfaces. These markers provide highly effective, long-life visibility, particularly at night and in wet weather.